Innocent Bystander is a cellar door, a café, restaurant, bar and a home away from home, so pull up a chair, relax and enjoy. The whole range of Innocent Bystander wines, from the Yarra Valley and beyond, are served fresh from copper taps alongside their cider and local beers. 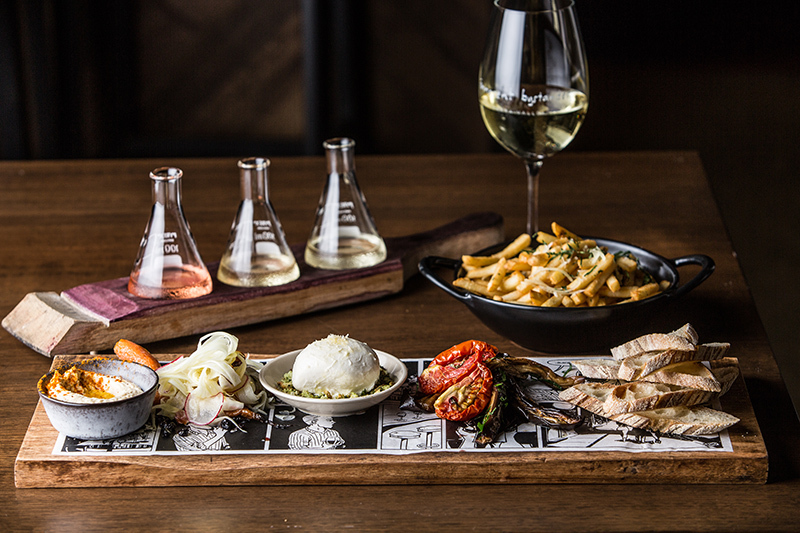 The restaurant menu is created for sharing and features artisan pizzas, paellas and locally sourced share boards. Innocent Bystander creates wines that are delicious expressions of what they love to make and drink. They’re perfect for exploring the iconic varieties from Innocent Bystander’s home in the Yarra Valley, as well as their inspiring styles from elsewhere in Victoria. These wines are excellent quality, very approachable and made for sharing. This philosophy is reflected in Innocent Bystander’s headquarters in the heart of Healesville. Discover the tasting bar with a wide range of wines available for complimentary tastings. 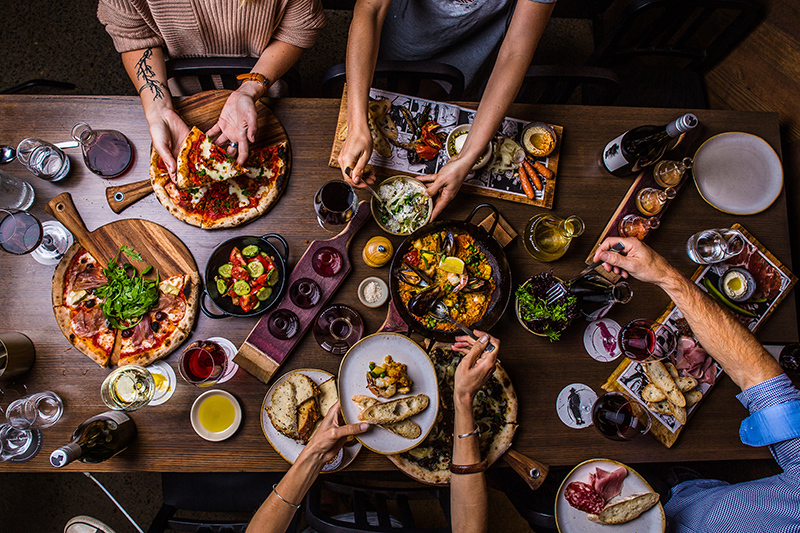 There’s also a large and welcoming restaurant that specialises in artisan wood-fired pizzas, complemented by a menu of paellas, share plates and delicious desserts and cheeses. There’s more than wine to drink – local cider, beer and spirits also available at their 20-metre long bar as well as freshly roasted coffee. The restaurant can accommodate group bookings of up to 45 people and caters for dietary and accessibility requirements. Group dining bookings available for up to 45 people.